and between the City of Monroe and the City of Middletown to provide a job shuttle service. Middletown, the City staff is proposing that we participate in the I-75 Job Shuttle Program. July 24, 2018 – 6:30 p.m.
amount of $9,345.29 to Middletown Transit and declaring an emergency. determined. The 2018 service fee is being taken out of the existing economic development budget. Moving forward, the 2019 service will be paid by purchase order. November 13, 2018 – 6:30 p.m.
Middletown has a full-service transit system with six-28 passenger buses and two-9 passenger paratransit buses, all wheelchair accessible. Middletown Transit Service is managed by the Butler County Regional Transit Authority. Single Fare - $1.25, 30 Day Unlimited Ride Bus Pass - Full Fare $40 or Half Fare $20. Available at the Transit Station and Online at www.butlercountyrta.com. Ticket and Pass Sales at Transit Station M-F 10am to 2pm. Senior Citizens/Disabled/Medicare Card Holder Discount Rate - Single Fare - 60 cents, 30 Day Unlimited Ride Bus Pass Half Fare - $20. Fill out to obtain discount transit ID card. Present card to receive discounted rates. Download application. 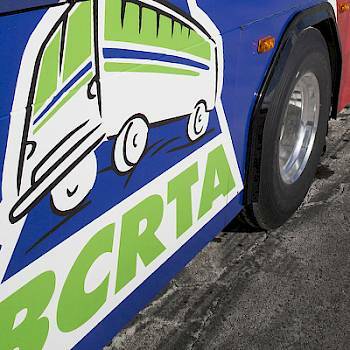 Those with special needs may qualify for curb to curb transportation service on a wheelchair accessible bus. Fare is $2.50 each way. Download an application or call 513-785-5237 to apply for the service. Mail application to City of Middletown Paratransit Services, 3045 Moser Court, Hamilton, Ohio 45011. Once the application has been approved, passengers may call from one day to two-weeks in advance of the needed trip.